Glazed Salmon and I have become fast friends. There was a time, we weren’t, but now those days are long gone. It can be served any time of the year. It plays well with a huge variety of other ingredients. It can be served any meal of the day. It can be served any course of a meal. It loves me and I love it. When I decide to cook something with which I’m unfamiliar, I begin my research. 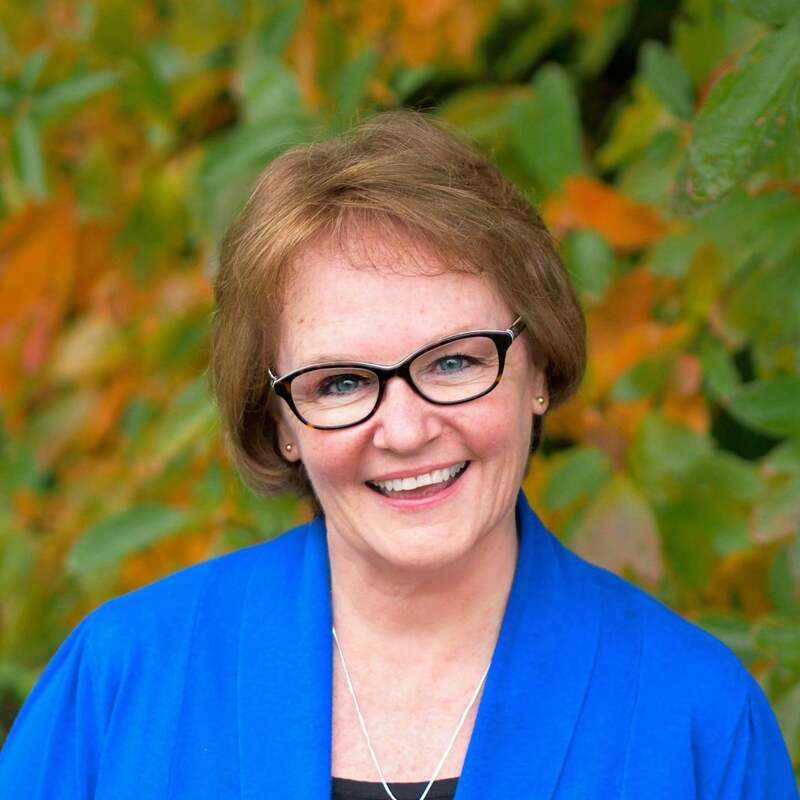 I read recipes from my favorite cookbooks, gather information from the web, and study what the experts have to say. As I have stated before, I love Cook’s Illustrated! Their websites, tutorials, classes and cookbooks have become invaluable resources for me. The method for cooking this Glazed Salmon came from Cook’s Illustrated, but the idea for the glaze came from me (and Captain Rodney’s). If you haven’t discovered Captain Rodney’s Boucan Glaze, STOP what you are doing and get yourself some right now. You must! My husband and I found this liquid gem last year and have become dependent. The golden elixir isn’t available in our small city, so we ordered several bottles online. We treat it like the treasure it is. It is the perfect blend of peppers and spices and has sweet heat anyone can tolerate. It is fantastic on burgers, chicken and fish, some vegetables, and it can be mixed with your favorite cheeses to make a wonderful dips. Now, back to salmon. 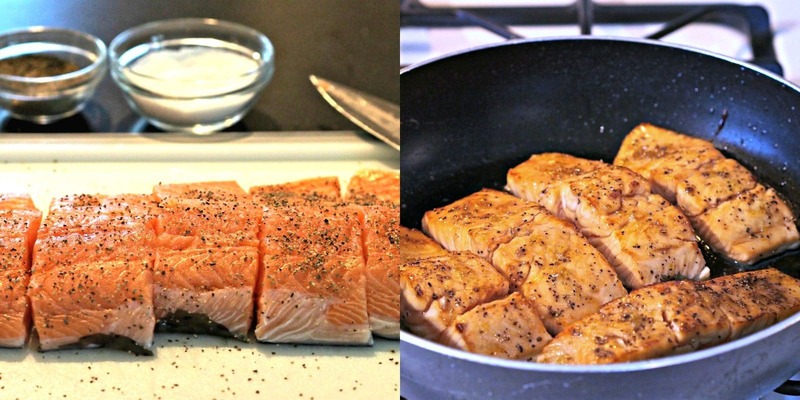 The two most crucial things to remember about salmon are the importance of not overcooking it and cooking it at a lower temperature. If salmon is cooked too long or is heated too quickly, it loses moisture quickly and pushes the muscle’s moisture-filled albumin (the white stuff) to the surface of the flesh and it squeezes out the sides. This has happened to my own salmon; it doesn’t mean it isn’t edible – it only means the salmon is slightly overcooked and won’t be as moist. So, just remember: high heat=more white stuff and less tender salmon; low heat=less white stuff and more tender salmon. 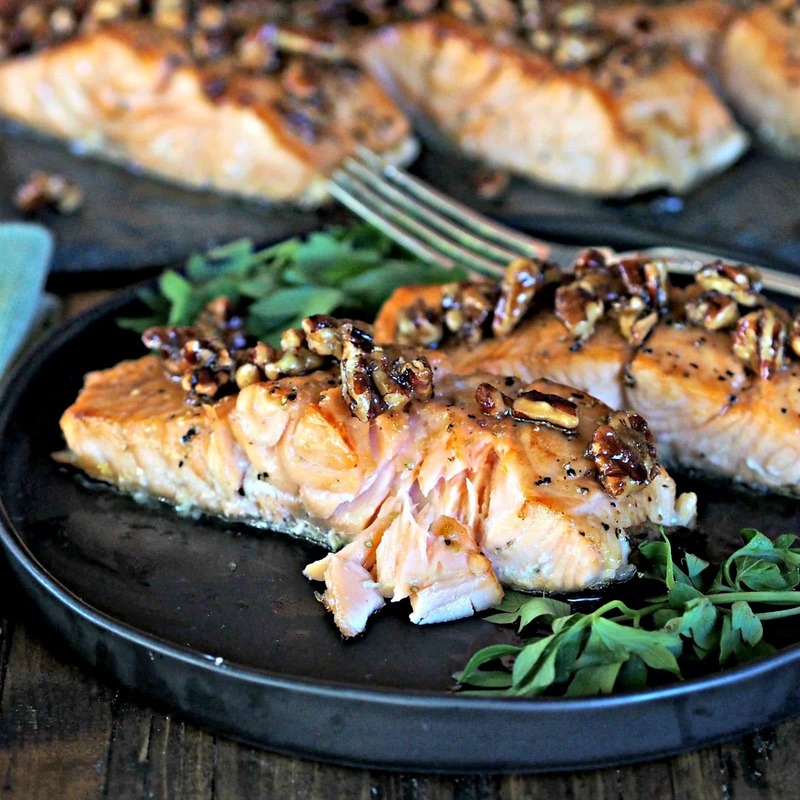 I knew Captain Rodney’s Boucan Glaze mixed with toasted pecans and reduced would be the ideal glaze for this salmon. As was expected, the sweet, spicy glaze complemented the salmon and the crunchy nuts gave needed texture. Perfection! An incredibly flavorful, versatile dish. It is a dish that takes 10 minutes to prep and 10-12 minutes to cook. 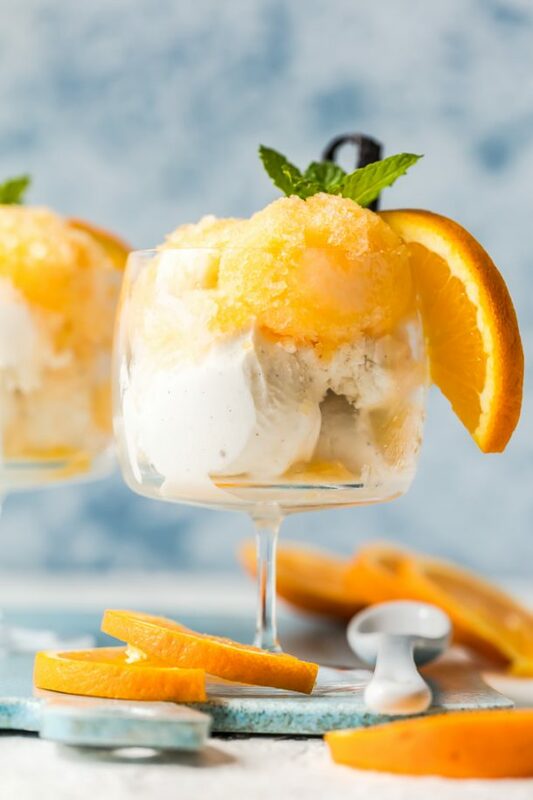 Easy, beautiful and delicious. --------------------- Original recipe: Cook's Illustrated. *Use a non-stick, oven-proof skillet. 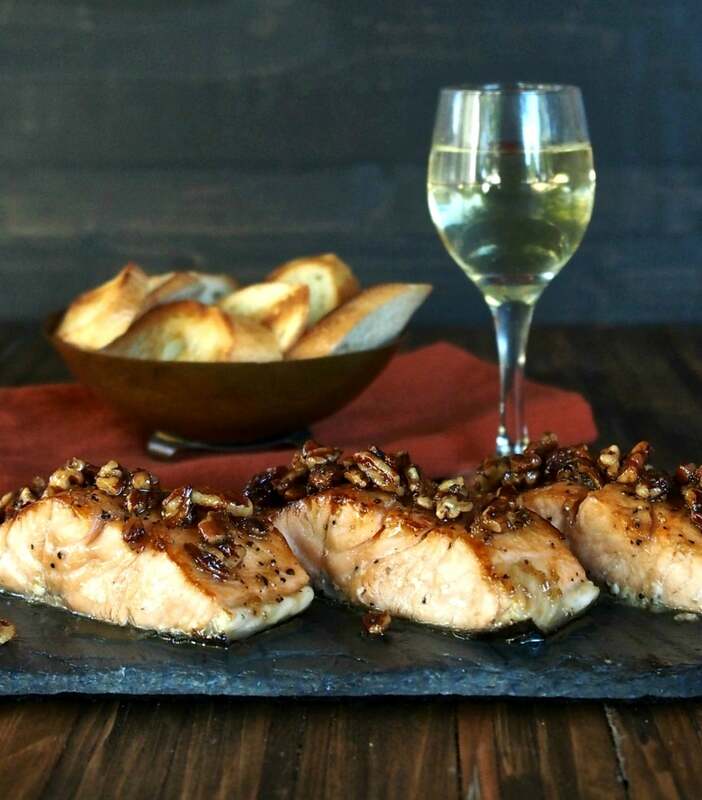 If you don’t have an oven-safe skillet, sear the salmon as in Step 2, transfer the salmon steaks to a rimmed baking sheet, then glaze it, and bake as directed in Step 3. Adjust oven rack to middle position and preheat oven to 300F. In a small bowl, combine brown sugar, salt and cornstarch. Mix well and set aside. Pat the salmon steaks dry with paper towels and season with pepper. 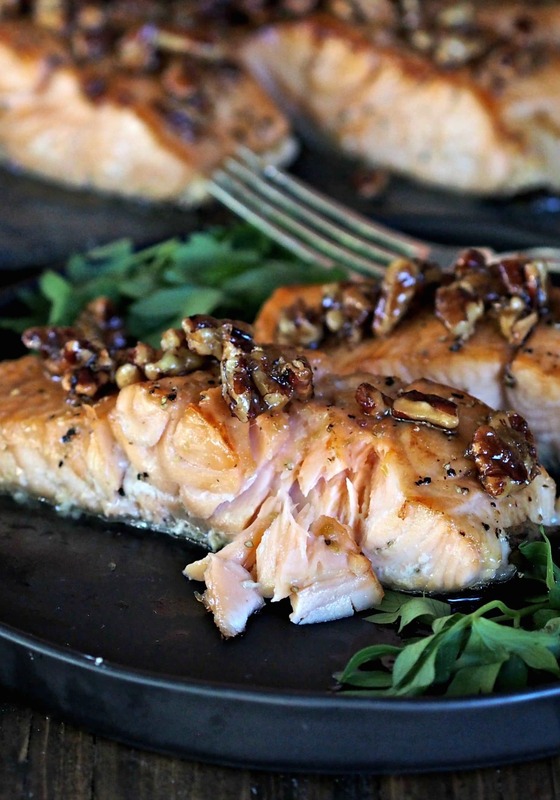 Sprinkle and rub the brown sugar mixture evenly over the flesh side of the salmon. Heat oil in an oven safe nonstick large skillet over medium-high heat. Heat until it begins to smoke. 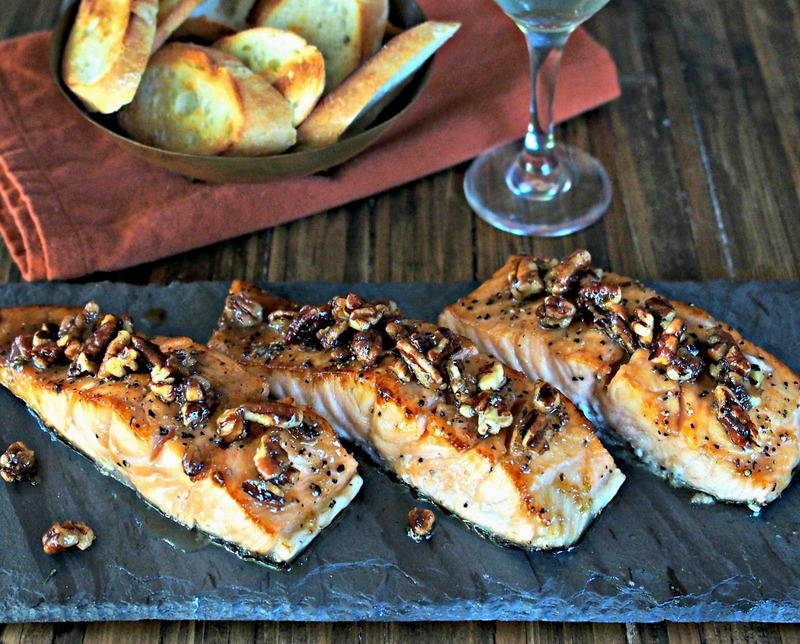 Place salmon, flesh side down, in the skillet and let set until well browned – about 1 minute. Carefully, and using tongs, flip salmon and cook on skin side for 1 minute more. 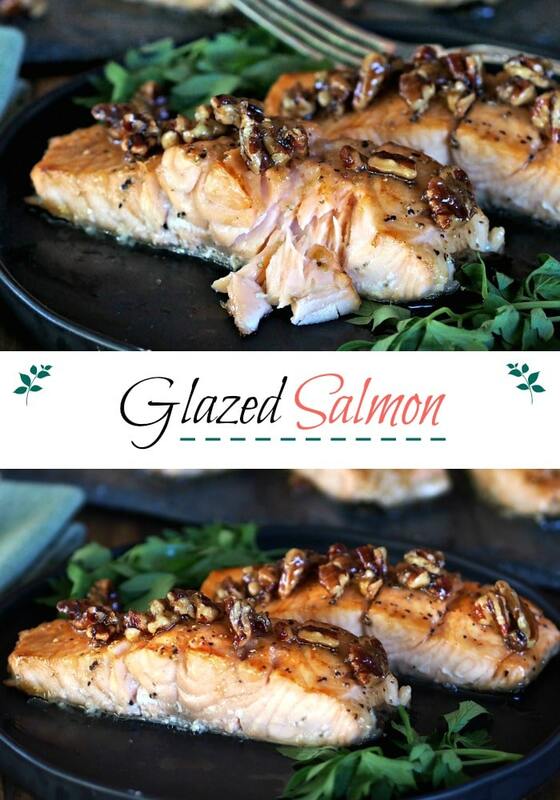 Turn off heat and spoon glaze evenly over salmon fillets. 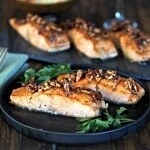 Place skillet in oven and cook until thickest past of salmon reads 125-135 on instant-read thermometer. 8-11 minutes. 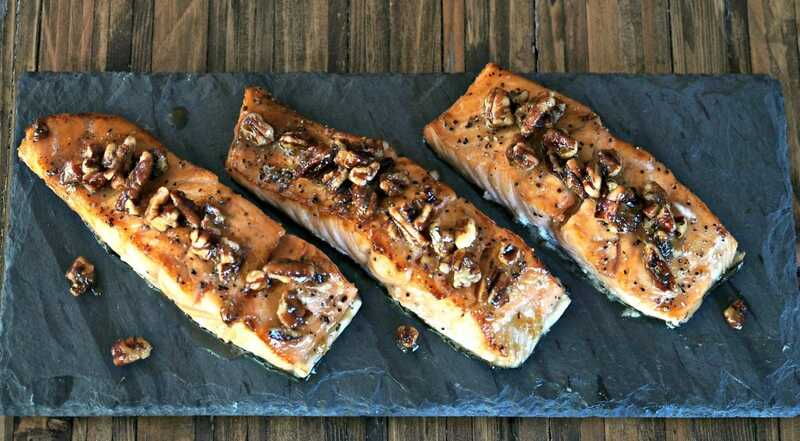 Transfer salmon fillets to a serving plate and serve with extra Pecan Glaze.